Q: With the phenomenal success of “Twilight” and “New Moon,” I was wondering what my favorite vampire, Robert Pattinson, has in the works next? 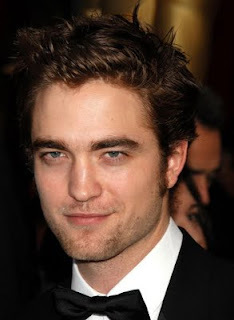 — Ronni H., Miami Beach, Fla.
A: It was recently announced that Rob (pictured) is to star in the movie “Bel Ami,” which is based on the Guy de Maupassant short story about a young journalist who jumps from the bed of one influential Parisian woman to another’s in order to advance his career. He is to co-star with Uma Thurman and Kristin Scott Thomas, two Hollywood heavyweights who will lend some “A-list cred” to the film, which will hopefully be a jumping-off point for the young star’s post-“Twilight” career. A: The two-hour Season Six premiere of “Lost” will air Tuesday, Feb. 2, on ABC. This season will be its last, as you mentioned, and will consist of 18 episodes. The producers and company at “Lost” are very tight-lipped when it comes to leaking plot points, but they did reveal this season’s cast list: Naveen Andrews, Nestor Carbonell, Emile de Ravin, Michael Emerson, Jeff Fahey, Matthew Fox, Jorge Garcia, Josh Holloway, Daniel Dae Kim, Yunjin Kim, Ken Leung, Evangeline Lilly, Terry O’Quinn and Zuleikha Robinson. Elizabeth Mitchell, who is now starring on ABC’s latest hit, “V,” is not on the official cast list for “Lost,” but she has been spotted flying out to Hawaii to shoot guest stints for the show. Q: I read that Oprah Winfrey is launching her own network. What will that mean for her talk show? — Polly T., Asheville, N.C.
A: The Queen of All Media announced she is ending the 25-year run of her syndicated talk show, “The Oprah Winfrey Show,” once her contract with CBS Television (the show’s distributor) is up in 2011. Oprah said that prayer and careful thought led to her decision. Oprah’s new network, The Oprah Winfrey Network, will begin broadcasting in 2011, replacing Discovery Health Channel and airing in 74 million homes. As of press time, she had not revealed what her future plans might entail, except to say that the final 18 months of “Oprah” will knock our socks off. A: “Big Love” returns for its fourth season on Sunday, Jan. 10, with a big story line planned. It will explore the attraction between Marge (Ginnifer Goodwin) and her stepson Ben (Douglas Smith). Series co-creator Mark V. Olsen explains: “We flirted for three years with that relationship, and this year we finally decided to pay it off.” Along with that story line, family patriarch, Bill (Bill Paxton), will be running for state senator.